Teranet is now confirming the MortgageBrokerNews.ca report it will overhaul its controversial use of AMP records on the REDX system. “Effectively immediately, and until further notice, AMP designation reports, including all historical reports will no longer be reported, found, or captured within REDX,” the official press release states. 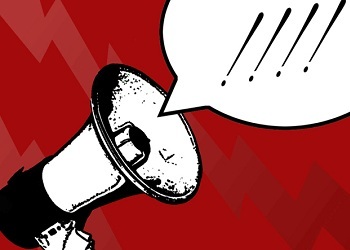 The statement, obtained by MortgageBrokerNews.ca Friday, claims that although AMP designation reports were distinguishable from other reports by an identification code, Teranet has decided to cease recording AMP information to ensure no brokers are unfairly flagged by lenders who view their profiles on REDX. The change in policy confirms what sources told MortgageBrokerNews.ca earlier this week. It also is expected to allay the concerns of hundreds of brokers who charge they have been unfairly blacklisted by REDX. The database is meant to provide lenders with information about fraudulent broker activity. But many lenders have treated each profile entry -- whether a report of genuine fraud or a change in AMP designation -- as a red flag. The result is the AMP designation entries have been viewed in the same light as more negative entries. This has led to certain lenders treating brokers who have dropped their AMPs as high risk or persona non-grata. REDX in fact draws its data from both public and non-public information and that exhaustive list of data, save AMP status, will continue to be made available to broker channel players who subscribe to the database. Congratulations to Ron Desilva and to CAAMP for taking on this issue. Without anyone's prior knowledge brokers were vilified. It took time but the slate is is now clean for all mortgage brokers and agents. Job well done by Ron De Silva and others. Nothing is worse than a Kangaroo Court: guilty till proven innocent and by the way we don't let you face your accuser and we dream up crazy stuff like withdrawing from AMP as a crime. Take REDX down and replace it with a honest, sensible program.